All you need now is an innovative resource to guide your company in achieving all the specific sales goals: the #digital6thsense. 3) coaching the staff toward persistency & courage on the long run. Looking for improvement in the digital field is challenging as well as coaching the staff toward new customer’s care tactics, online and offline. If you would like to learn more about this topic, lucky you! 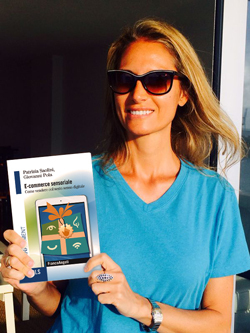 My book “E-Commerce sensoriale: come vendere col sesto senso digitale” by @AngeliEdizioni is out in italian and is going to be traslated in english soon. In the meanwhile we can keep in touch about the #digital6thsense on Twitter @MyRetailCoach, @AngeliEdizioni & @giovannipola who’s my partner in the book.